1. Inna Ricardo-Lax, Karin Broennimann,et al. "A short HBV RNA region induces RNR-R2 expression in non-cycling cells and in primary human hepatocytes."bioRxiv. 2018 October 31. Zakikhani M, Bazile M, Hashemi S, et al. 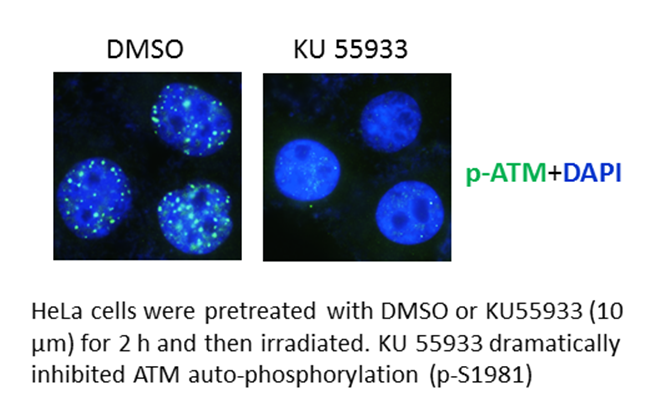 Alterations in cellular energy metabolism associated with the antiproliferative effects of the ATM inhibitor KU-55933 and with metformin. PloS one, 2012, 7(11): e49513. Hickson I, Zhao Y, Richardson C J, et al. 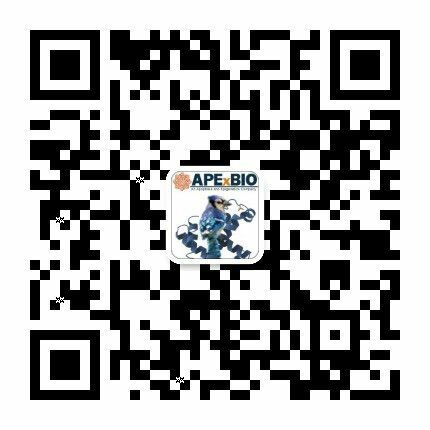 Identification and characterization of a novel and specific inhibitor of the ataxia-telangiectasia mutated kinase ATM. 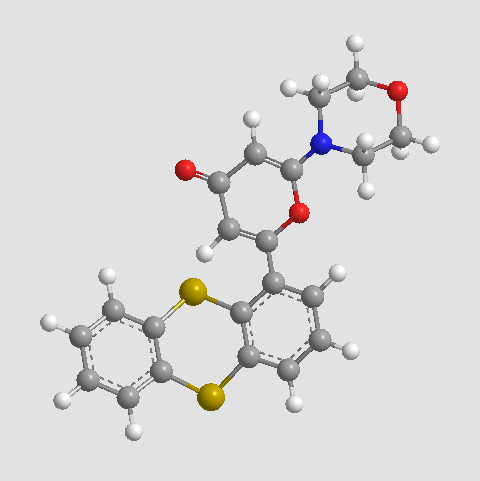 Cancer research, 2004, 64(24): 9152-9159. Li Y, Yang D Q. 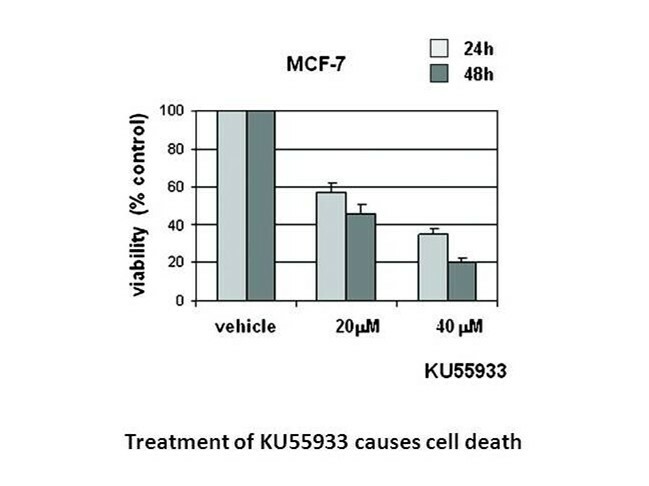 The ATM inhibitor KU-55933 suppresses cell proliferation and induces apoptosis by blocking Akt in cancer cells with overactivated Akt. 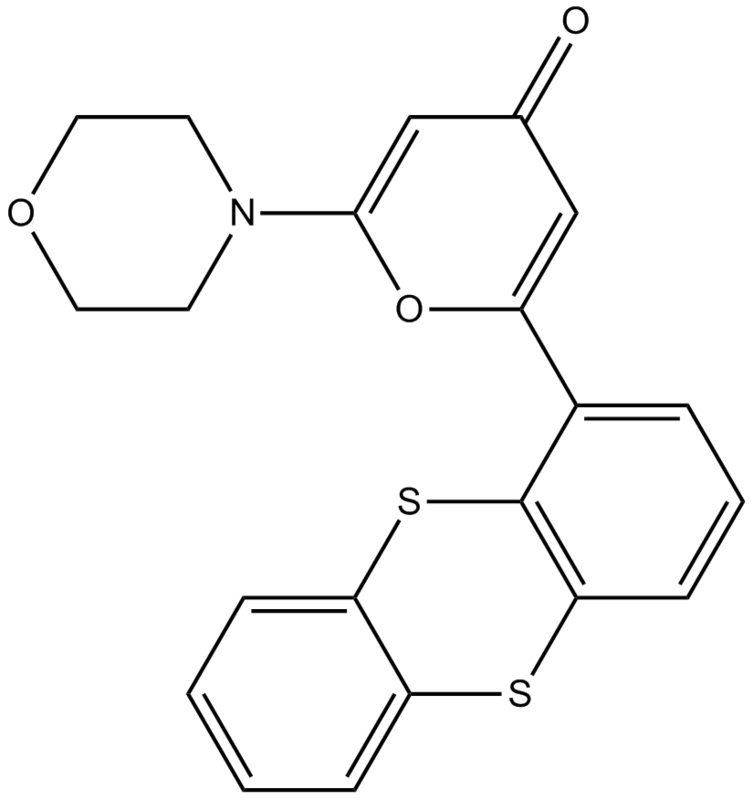 Molecular cancer therapeutics, 2010, 9(1): 113-125.